Garden Media Group has released its 2019 Garden Superstars for Spring. This year’s list features edible plants, safe garden food and innovative products. This spring try two new varieties from the Bushel and Berry collection that are perfect for warmer climates and self-pollinating. Blueberry Buckle, a quick growing blueberry that stays compact with white bell-shaped flowers that appear in spring and produce sweet, dark blueberries. Southern Bluebelle will be an addition to the patio or landscape. 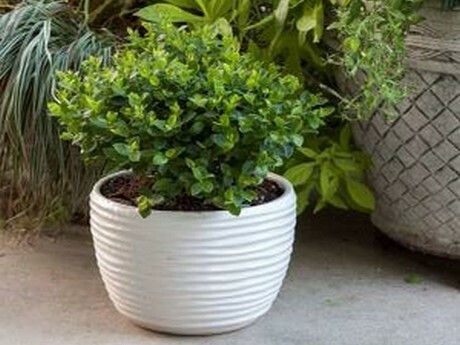 This petite blueberry plant produces plump, juicy blueberries in late summer and displays bright red, emerging foliage that turns emer­ald green as it matures. For more information on these and other berries, visit www.bushelandberry.com. Get blooms all summer in fiery shades of red, orange and yellow with Crocosmia. Requiring little care, they combine well with ornamental grasses. 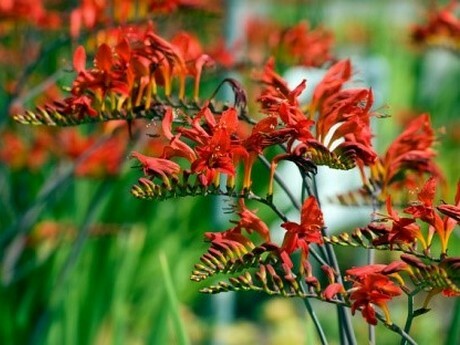 Crocosmia is a hummingbird magnet, makes outstanding cut flowers and can provide a vivid splash of color to containers. Plus, they’re deer resistant too. For more information, visit Bulb.com. The new Collapsible Watering Can and Collapsible Watering Bucket from Centurion were created with storage and mobility in mind. Their heavy duty, non-porous silicone material offers superior strength, while the foldable and detachable parts allow freedom to use these products in any space. 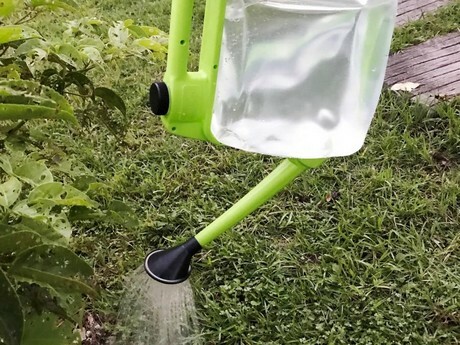 The Watering Bucket is perfect for gardening, boating and camping while the Watering Can doubles as a storage container. For more information visit CenturionBrands.com. The Espoma Company’s new Tomato! Liquid fertilizer and Berry-Tone granular fertilizer provides the right nutrients to these timeless favorites. Tomato! comes in a colorful 8 oz. bottle with a user-friendly cap that measures just the right amount of plant food to encourage plump and juicy tomatoes. 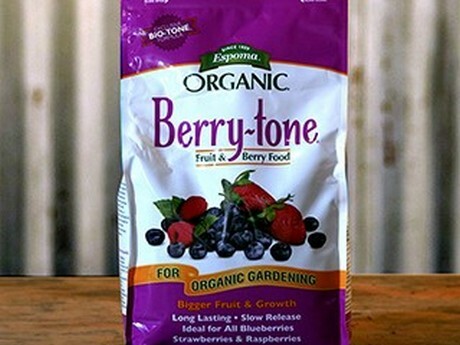 For berry gardeners, Espoma’s new Berry-tone provides a long-lasting, slow-release of nutrients. More information at Espoma.com. This rustic herb kit comes with a real wood back and comes with three 6” Ariana planters in black. 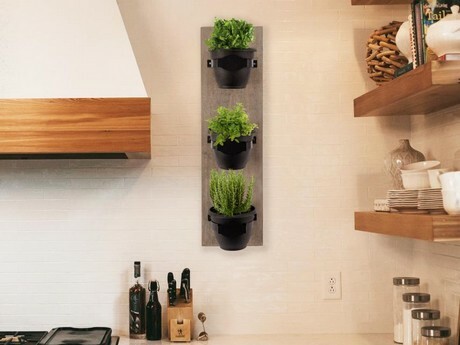 Consumers can write the name of their favorite herbs on the planter holders, and grow vertically. 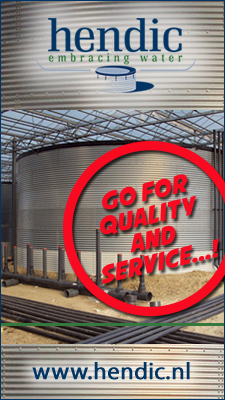 For more information visit Bloem Living.